I took little Lizzie to her favorite place in the whole world- the beach! First, we stopped off in New Orleans. 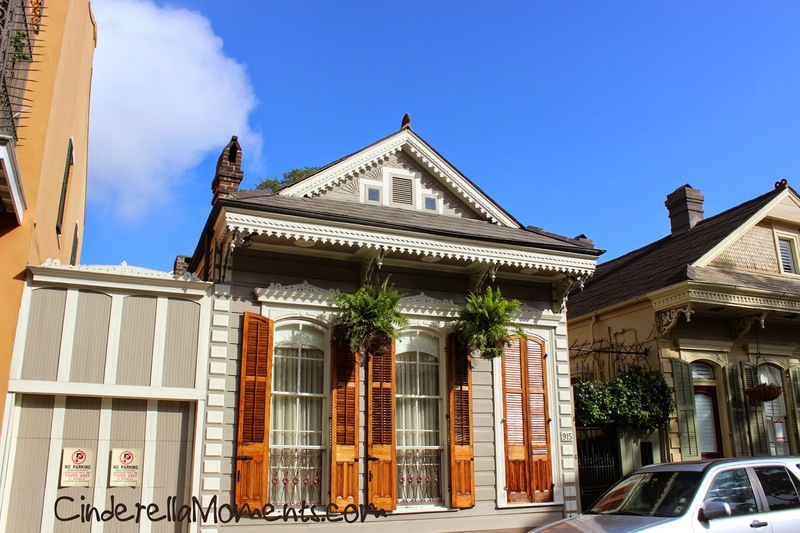 New Orleans is the perfect place to get dollhouse inspiration! Little Lizzie was tuckered out. But now the beach! 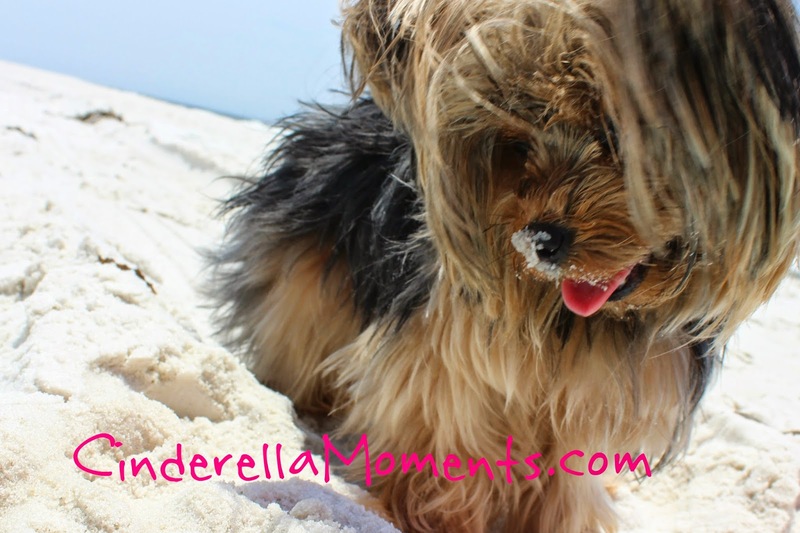 Oh how Lizzie loves having her nose full of sand! I try to clean it off but that makes her very mad. It's like she's wearing her badge of honor. So I let her enjoy her sand! She looks a lot like a little bear when she runs. This is how all that sands ends up in her nose. There's always something to dig out! But now it's time to get back to work on minis. Between commissions, I sneak in a little work on the Wiltshire Cottage kitchen. I made a simple little counter/cabinet with a carrera marble top and a pink interior. I saw a picture of real cookies on Pinterest. They were in an old tin box. So I tried it out. The box is cardboard and the cookies are air dry clay. I also made this sink cabinet. And 3 little pink shelves. And I couldn't live with my mistakes! I switched the pantry's door to the other side so it would swing the right way and I shortened the 2 bottom shelves so the light would reach all the way to the bottom shelf. Ilona made me do it! :D HAhaha!!! I made a triple window on the side. It was suppose to be a bay window but I decided it would stick out too much and be in the way. So I cut out and framed 3 arched windows. The wallpaper is canvas. It looks like linen. Love the look! On the ceiling I went for a tin look. All you need to do is trace out a design with your hot glue gun. When you paint over the hot glue it gives you a wonderful 3D effect. I hope everyone is doing wonderful! Until next time! 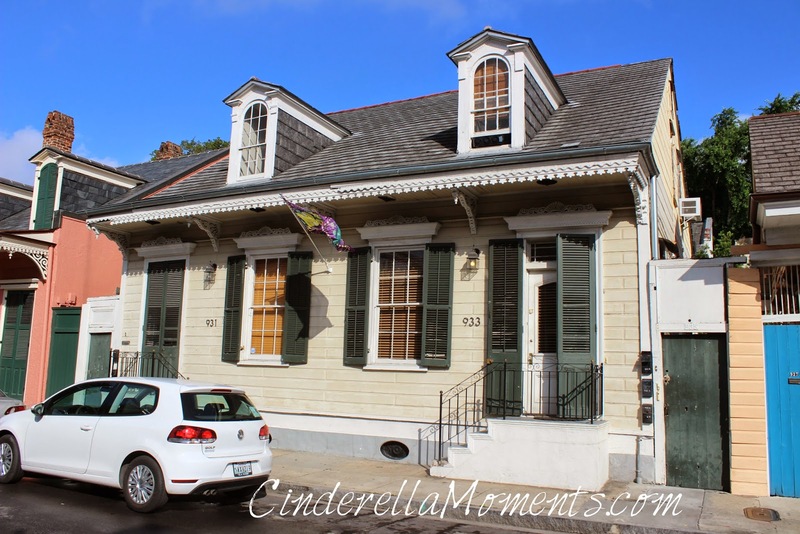 I agree, New Orleans is the best place for inspiration! I stumbled on a little doll shop when I was down there and instantly fell in love with the city. 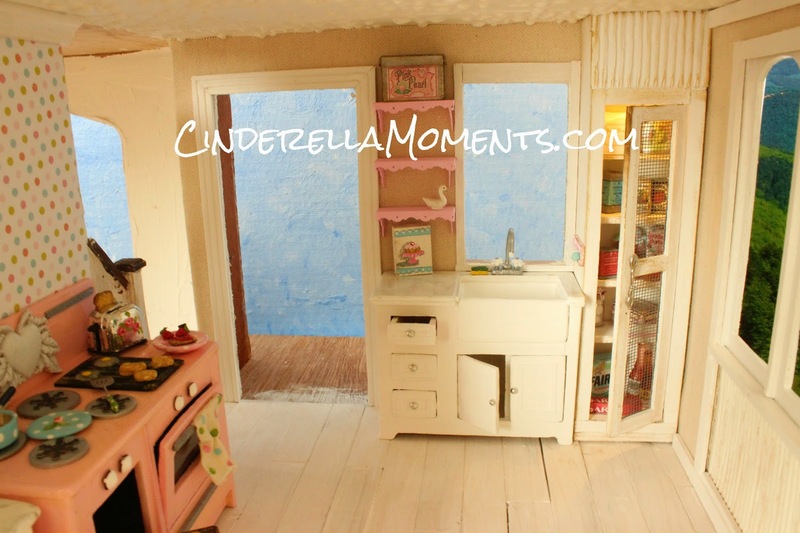 Cutest little kitchen ever! How on earth did you make the marble countertops? 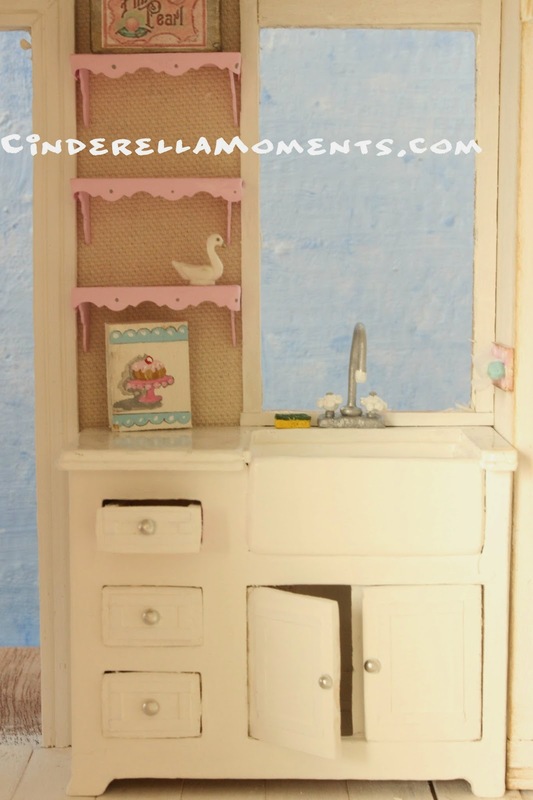 Also, would love a tutorial on the sink cabinet if you get a chance. Your little dog is just too adorable by the way. Hi Deb! I actually got this marble tutorial online somewhere. I don't remember where. It's so easy. Paint your counter white. Then draw the veins all going the same diagonal direction with a pencil. I don't sharpen my pencil. It's nicely rounded at the tip and I go over my lines a couple of times. Then wet your finger tip and rub the lines till they blur. Seal with 3 coats of gloss. I do my last coat of gloss very thick. And it's done! 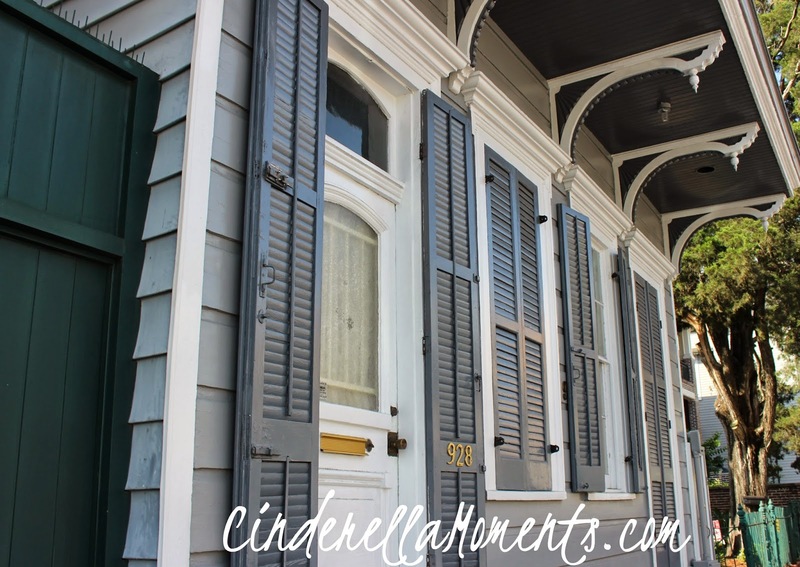 It looks like you and Lizzie had a wonderful time and yes, some of New Orleans' houses look like dollhouses. I love your beautiful kitchen. So many bright ideas thanks for sharing them . Que guapa y que contenta se ve a Lizzie en la playa,disfruta muchísimo y con esa nariz llena de arena está muy graciosa,cuantos tesoros habrá encontrado!!!! 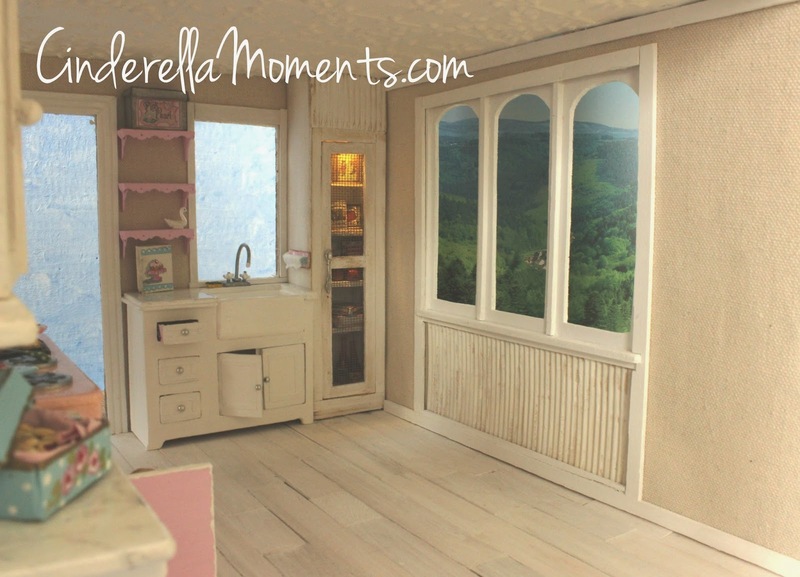 Tus avances en la cocina del cottage son maravillosos,la caja de galletas es genial,la puerta de la despensa queda perfecta y el gabinete del fregadero con los estantes es precioso,me gusta todo!!!!!!!! Welcome back, dear Caroline! Your Lizzie is adorable, and I like your new cottage very much!!! Oh thats good! Lizzie is so cute with her sandy nose! I love it! How did you do the marble look on the counter? I wish you would do a tutorial on the sink cabinet. It's all just too cute. Looks like Lizzie had a fun time at the beach. Maybe you should build her her own sand box. You could bury treats for her to dig out. Wouldn't that be cute?!! Your pictures of Lizzie are so cute thanks for sharing. I love your kitchen it is so inviting. I love those pink shelves. The big window is fantastic. I am looking forward to seeing more. Preciosas las casas de verdad y preciosa tu cocina, tiene mucho encanto. Those houses sure are inspiring and I love your new kitchen, great style and looks so realistic. 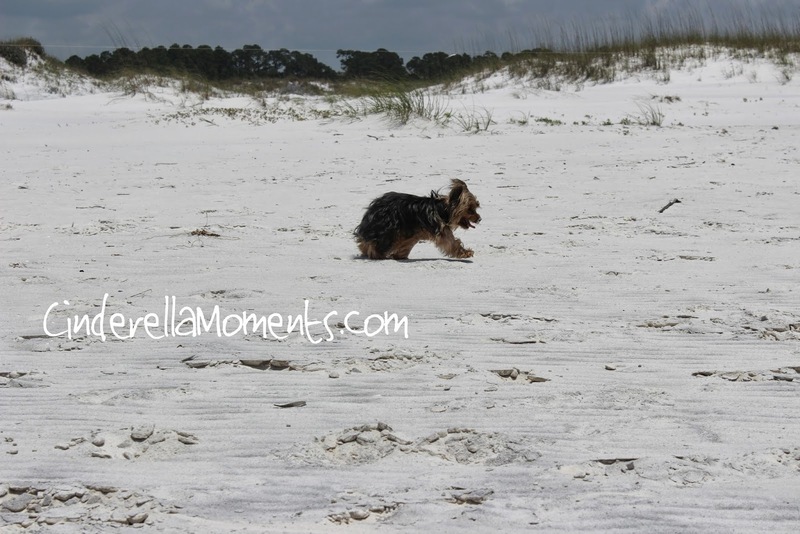 What a cute little dog, my boy loved the beach too, who doesn't. They don't seem to worry about sand in noses, even eyes. Must be tougher than us. Great photos! Great photos. Thanks for sharing. 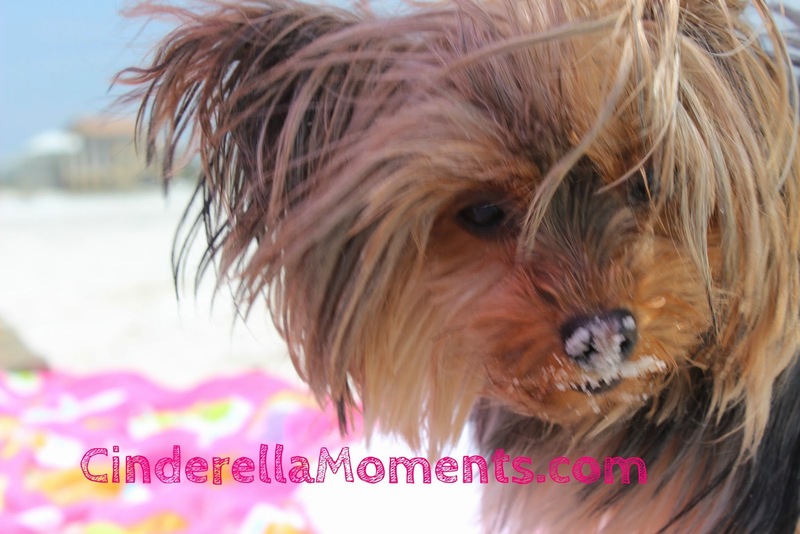 Lizzie is so cute, especially with a nose full of sand. I love the window in your house too. Looks like Lizzie had a wonderful time at the beach! 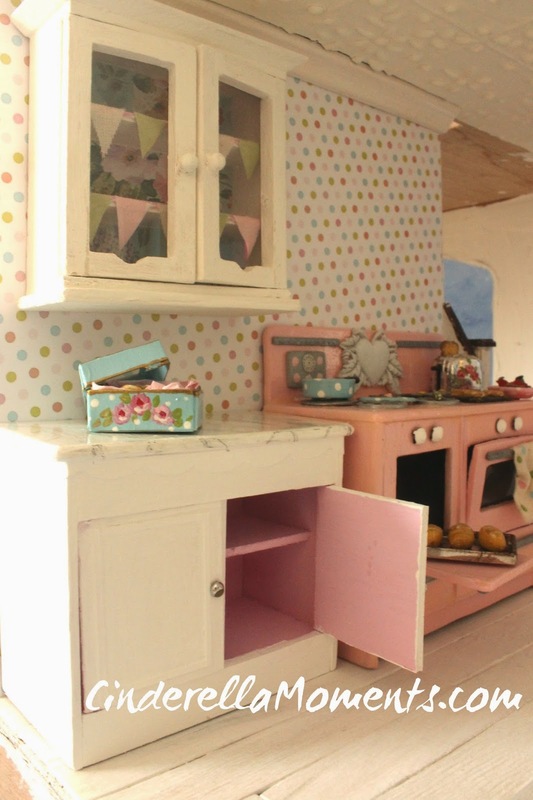 I love your little kitchen and its pink and green colour scheme! 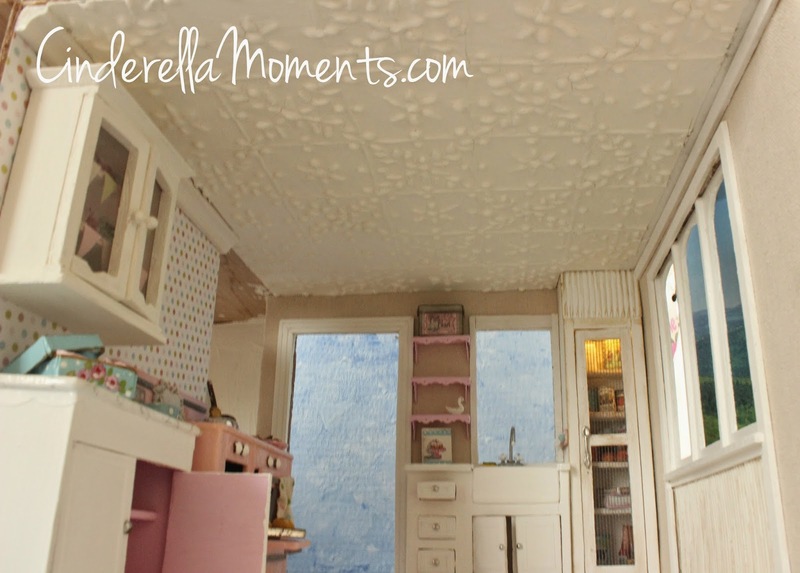 That is a wonderful tip about the ceiling. Who would have thought! Hi Caroline! 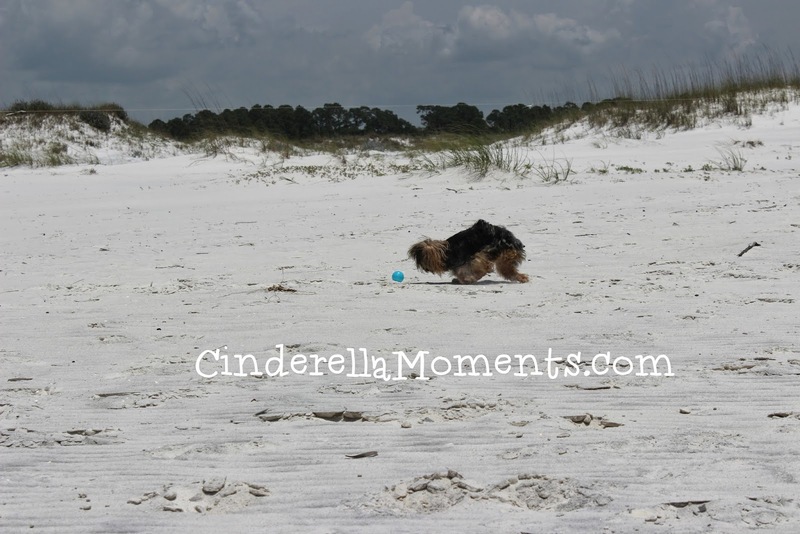 I loved seeing the adorable pictures of Lizzie, so full of energy playing on the beach. You both have had a great time together :D! 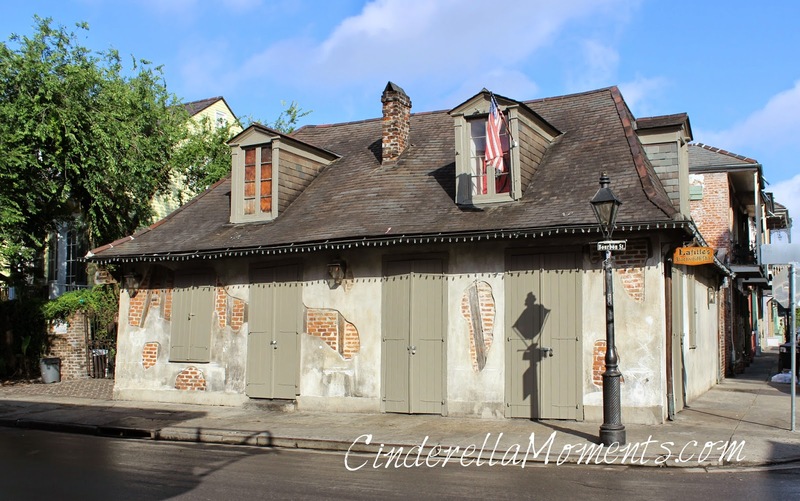 Thank you for sharing your inspirational pictures of New Orleans, we'll see what you will do with them ;). 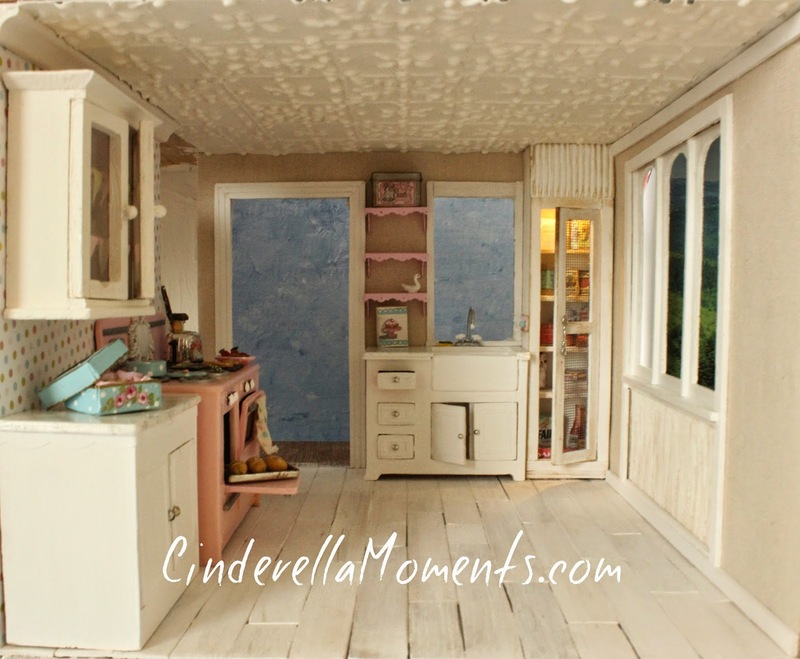 Your miniature kitchen looks lovely and I have to apologise for my advice about the shelves for the cabinet....;) LOL! But the effect looks wonderful now. Your new cottage is getting wonderful! Oh, yes! You find the perfect place to inspire you. 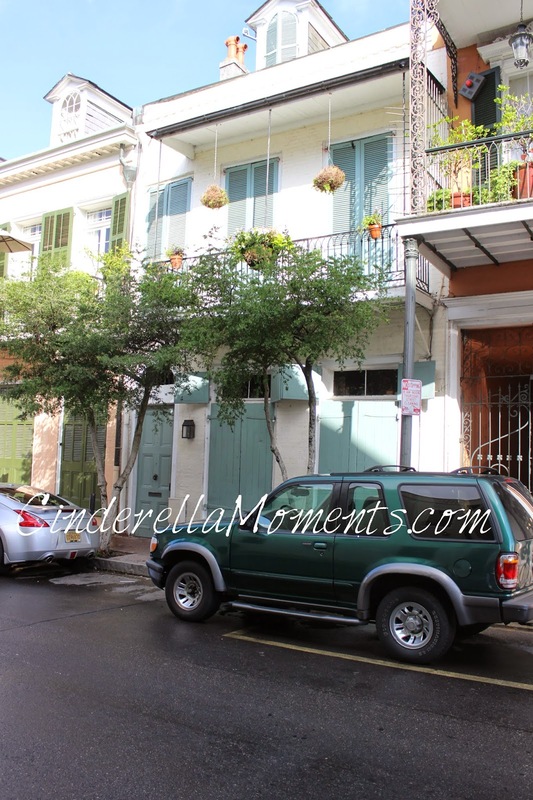 New Orleans is a beautiful place! Мне нравится ваша кухня! Очень красиво! Thank you very much for your beautiful photos of your holiday! Your kitchen is really great, I like its style a lot. 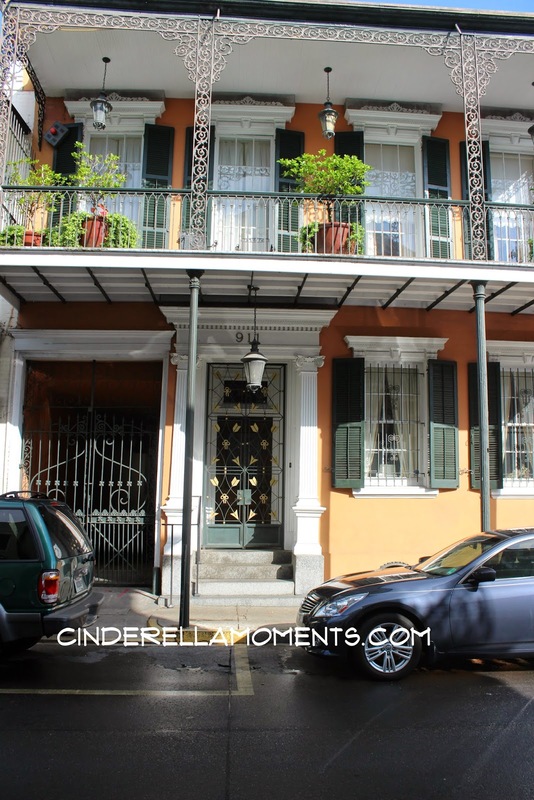 I can see why you think New Orleans is a perfect place for inspiration! It looks wonderful!!! 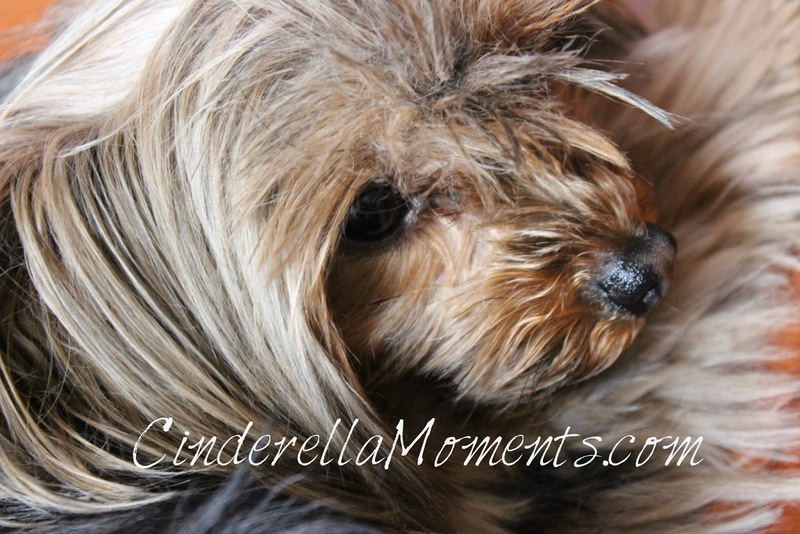 And that dog of yours, how cute is she!!!! Your kitchen looks great! I love the cookie box!! Your cottage is really shaping up and looking great. Thanks for sharing your lovely photos. Lizzie is the cutest dog!!! I have the same problem with Wiltshire Cottage. But I decided that I would complete this one slowly... but I will get it done! :D As long as you have fun that's what count! I always want to live in every mini you create! So warm and inviting! Dank je voor je lieve reactie wat heb je een mooie trip gemaakt daar kan jij zeker wat mee en de hond heeft genoten zo te zien . amazing, I've been speechless before so simple but lovely scene, I love the box of cookies. Certainly an adorable dog, it's beautiful!. A big kiss. А коттедж превосходен! Всё очень милое и красивое! Sounds like a super fun trip! Cute photos. 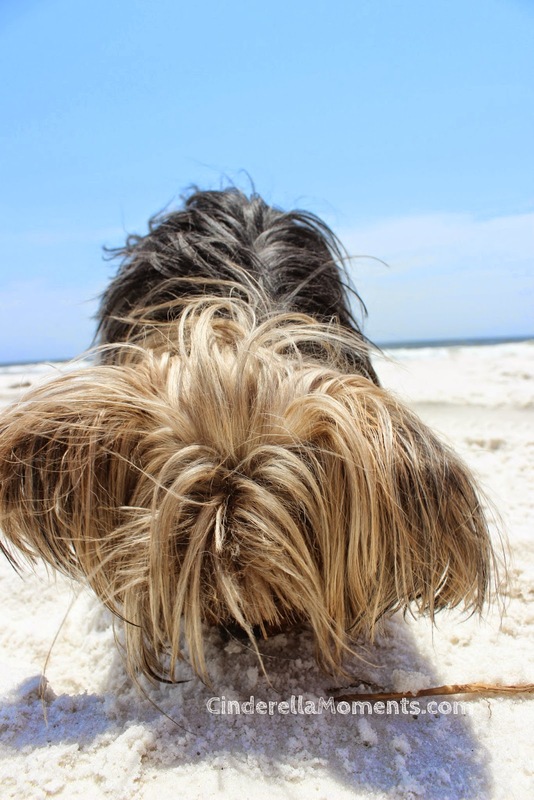 Looks like you had a fantastic time at the beach! Thanks for sharing your adventures with us. Love the tin of cookies. 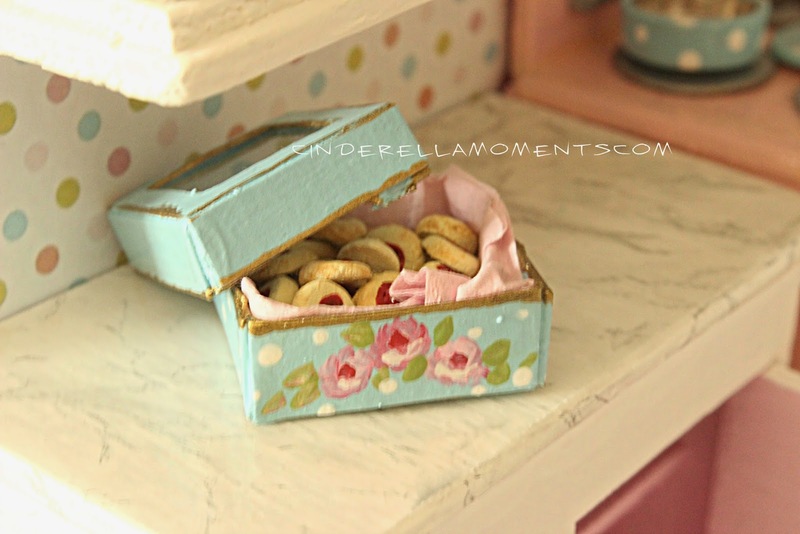 Making a cookie tin is on my list of "to dos". I also like how you have the light in the pantry. It really makes it a focal point in your kitchen! You are so creative!! Wonderful! You are so creative!! Wonderful! ThankYou for sharing! How wonderful you had a little vacation! Yay! And your work on your kitchen is fab. 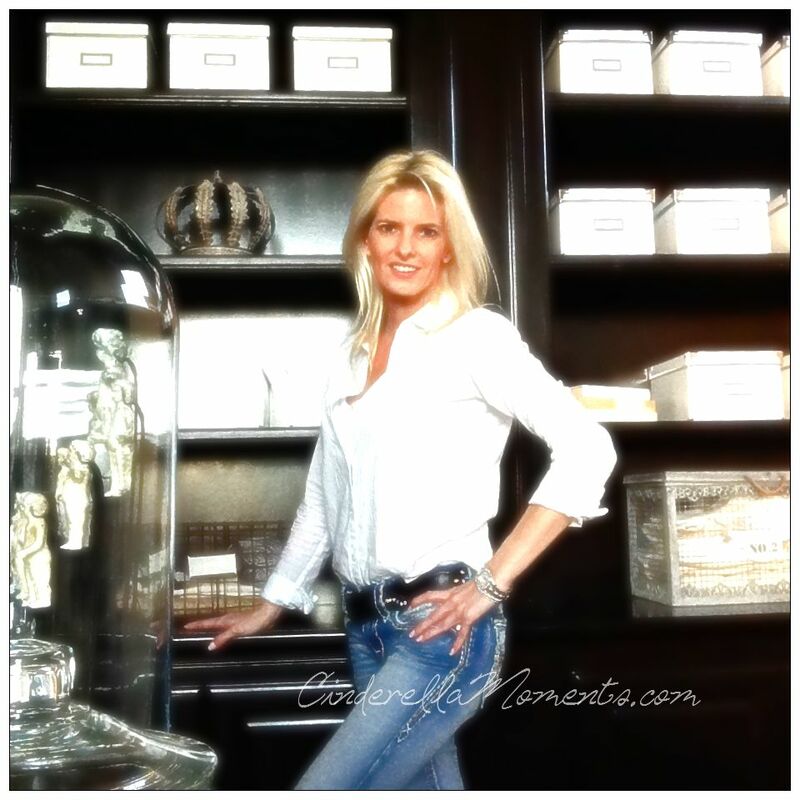 I love the cabinets you have created. They do remind me of my grandmother's kitchen. The windows are amazing! I see what you mean about inspiration in New Orleans! 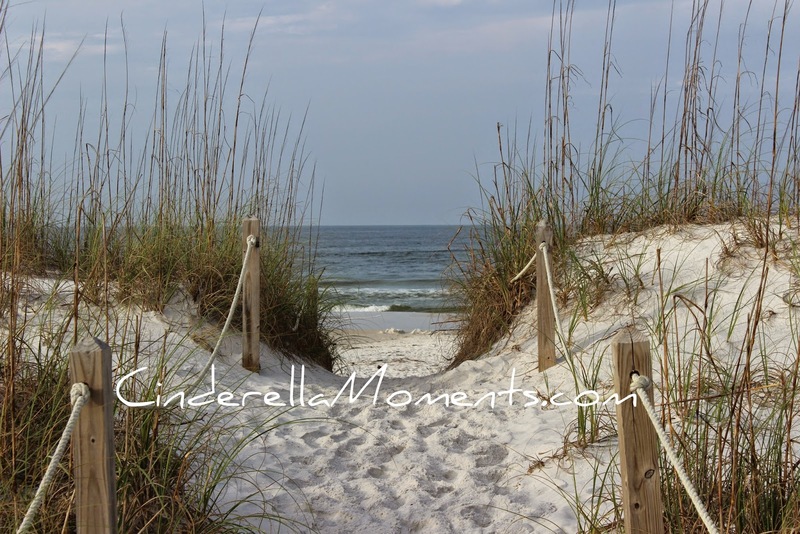 Fabulous photos on the beach too... hope you both had a wonderful time. The kitchen is absolutely stunning. 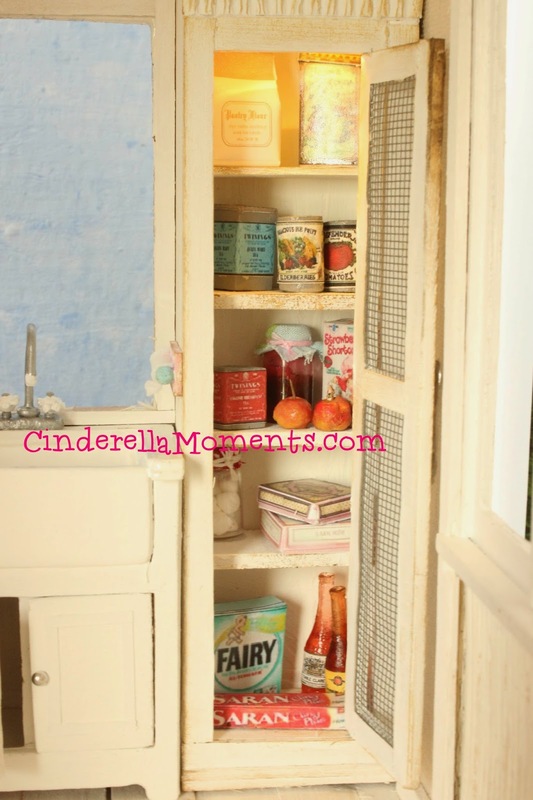 Just love that vintage tin of cookies, and all that cabinet work - oh, and those wonderful windows! Will be sharing some of what I've been up to dollshouse-wise next week, so will give you a heads-up - would love to know what you think!